My love of design stems from an early age, growing up amongst an artistic family, I've been surrounded with music, art, design and fashion for as long as I can remember. I was born in Essex, England, in 1981, In 2008 I graduated with an honours bachelor of arts degree in Retail Interior Design from London College of Communication. London was my home before migrating to Australia in 2014. For the past 10 years I've been working as an Interior Designer on projects big and small, throughout Europe, the Middle East and Australia. I've always been drawn to environments that are emotive, intriguing and beautiful. I believe it’s important to surround yourself with design that's engaging, memorable and makes you feel good. Working in interior design, I've often designed custom pieces for my clients, which eventually inspired me to develop my own furniture collection. My ethos is to create furniture that's authentic, considered and locally made. I like to think of my designs as pieces of art, beautifully engineered and made to stand the test of time, complimenting any personal style. I work closely with local, talented makers in Melbourne creating timeless artisan pieces of furniture. My work is inspired by my experiences, art, simplicity, shape and form. Justa Splash is a street-art collaboration between myself and Sarah Hotchin, who is a graphic designer/ illustrative artist. 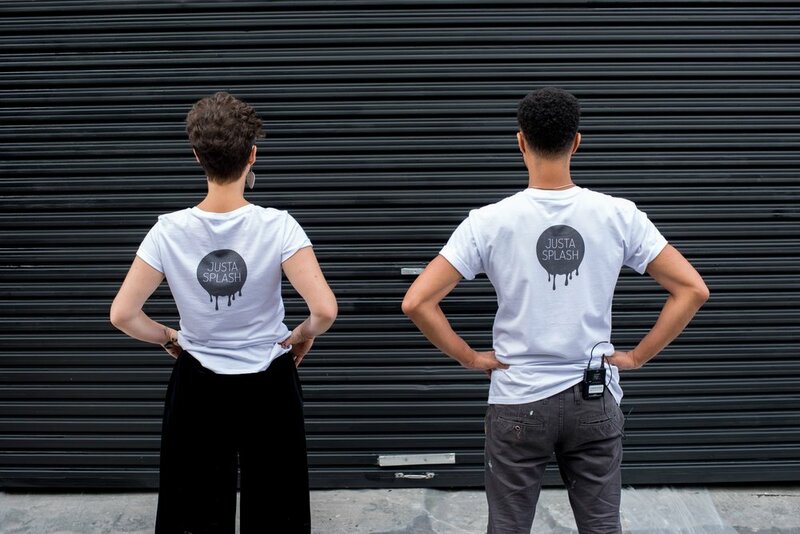 In the past, Sarah and I have worked together on a number of projects, combining our skills in interiors and branding within the creative industry, and then one day we thought…..lets take our creative energy to the streets! After several pub meetings, the Justa Splash brand was born along with the Colour Bomb project. We've had a lot of fun working together and as a result, have created some truly dynamic murals around Melbourne. We've collaborated with film director Mischa Baka and sound technician/DJ Tom Webb to help bring our colourful ventures to life. Please get in touch if you have an exterior/ Interior wall that requires a splash, we’d love to hear from you.